In this week’s Bitcoin Tarot Podcast, we introduce a new co-host, “Charting Chad” to add some conflict and drama to really get at the essential question of the show: Is technical analysis any better than reading the tarot? Chad will be making chart based Technical Analysis predictions alongside Conroy’s reading of the cards. 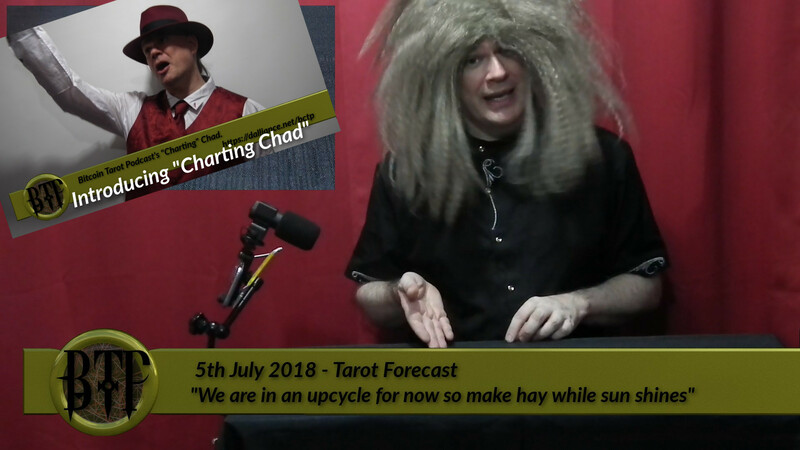 This week Conroy finds that we should may hay while the sun shines during this market upcycle, and Chad suggests even if there’s an up-tick, the price will likely be lower next week.